The CPA 8000 is Chord’s flagship preamp. 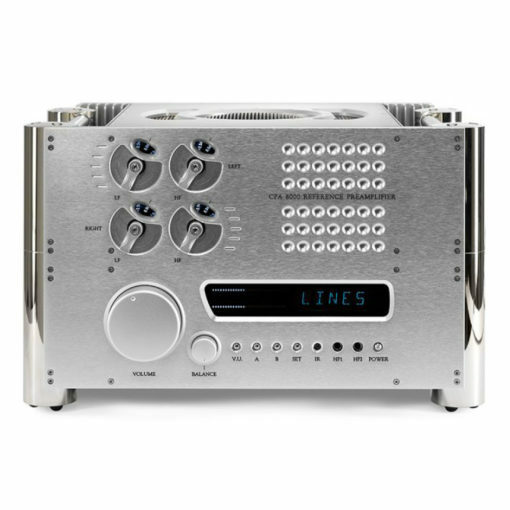 It represents their best preamplifier to date and combined with their Reference power amplifiers, provides a world-class amplification solution with cutting edge proprietary technology. Featuring double-height dimensions, the CPA 8000 is the perfect partner to their SPM 14000 MKII monoblock power amplifiers and benefits from a true dual-mono construction with separate ultra-high-frequency power supplies for each channel, to give the best possible channel separation. With the addition of their low-noise circuitry, noise floor performance has been improved to beyond -135dB.